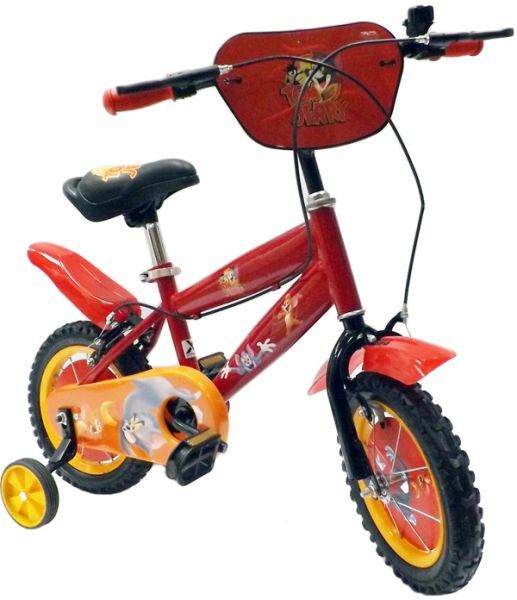 This colorful 12 inch Tom and Jerry bike is a charming ride that is sure to make your little stunner ever so happy. The fully enclosed chain guard and easy to use coaster ensure that your kids stays safe. He/She can have a stable and comfortable ride with the wide training wheels and padded seat. This colorful 12 inch Tom and Jerry bike is a charming ride that is sure to make your little stunner ever so happy. The fully enclosed chain guard and easy to use coaster ensure that your kids stays safe. He/She can have a stable and comfortable ride with the wide training wheels and padded seat. Every evening will be fun as he/she rides along with his/her friends in this stunning bike.